The Naruo are a little-known tribe. They have never before appeared in any Western ethnolinguistic research. 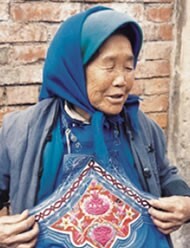 They are one of the more than 100 Yi subgroups in Yunnan Province alone. Naruo is this group's self-name. Neighboring tribes call them Zhili or Gan Yi, while the Chinese often call them Shuiyi (Water Yi). The Naruo are closely related to the Naru who live in the same counties. The slave system in use among the Nosu Yi in the Daliangshan (Big Cold Mountains) of southern Sichuan was officially abolished in the 1950s. For centuries slaves had been taken by the Nosu ruling class, who believed they were a superior race. 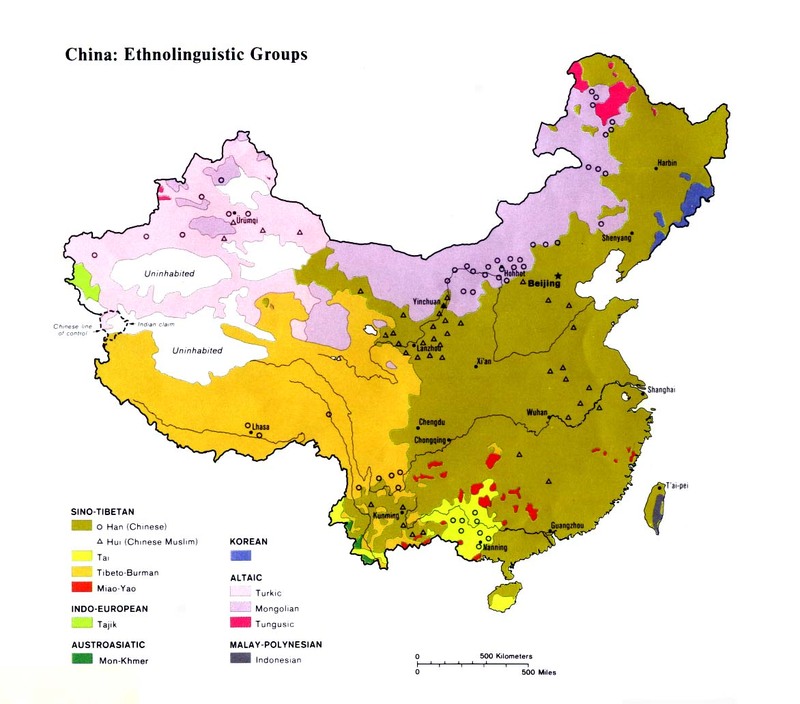 They had no respect for any other tribes or for the Han Chinese. This brutal system contributed to the scattering of many smaller clans and tribes who felt it wiser to migrate away from the Nosu than to face the constant threat of being taken captive in slavery. 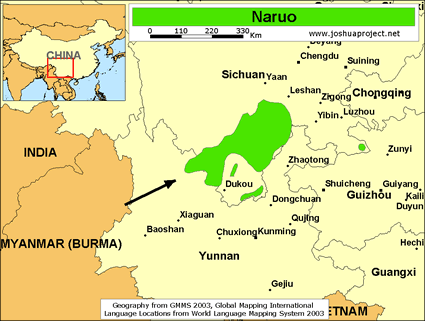 Originally, the Naruo say they came from Hunan and Jiangxi provinces in eastern China. After a time the ancestors of the Naruo married local women and gradually formed their own distinct ethnic group. The Naruo believe it is far better to have a baby boy and do not rejoice at the birth of a girl. In some locations, exacerbated by China's one-child policy, the Naruo abort female foetuses or kill baby girls at birth. The Naruo have an annual ritual of offering sacrifices and burning incense to both good and evil spirits, asking them to allow boys to be born in their communities. The primary religious adherence among the Naruo is polytheism. They worship a wide range of demons and fearsome disembodied spirits. Because they were never focused on by missionaries in the past, there are no known Christians among the Naruo today. In the 1800s Griffith John challenged the Christian Church concerning China's lost millions. He wrote, "Shall not China remain in its state of darkness and death because of the worldliness and deadness of the people of God? Shall not the cry which now goes forth from this land penetrate our universities, colleges, and churches, and elicit a response in many a heart devoted to Christ, worthy of the urgency and solemnity of the occasion?" View Naruo in all countries. Location in Country: The small Naruo tribe lives in the mountains of northern Yunnan Province. Numbering approximately 12,000 people, they inhabit parts of Yongsheng and Huaping counties. Most Naruo villages are only accessible by foot. Few roads have been constructed through the mountainous area. The Naruo are so remote that one anthropologist who visited the area was unable to locate them. There may also be Naruo communities living across the border in neighboring Sichuan Province.